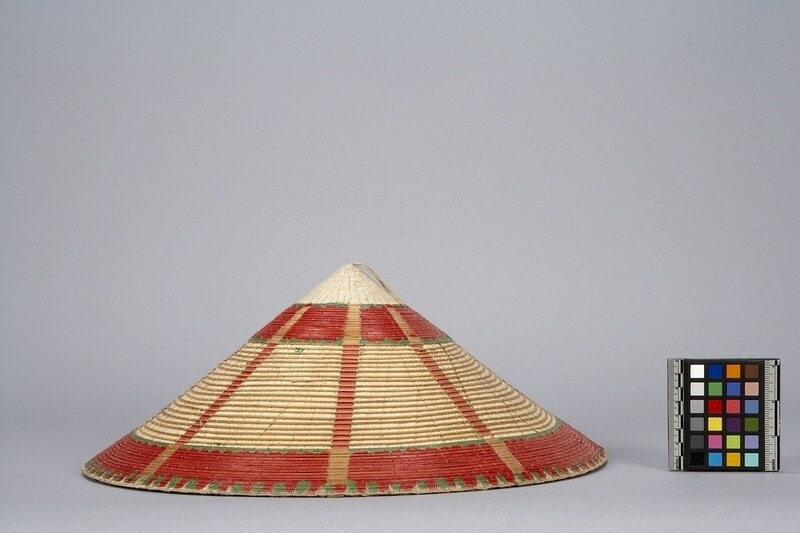 Broad rimmed conical hat composed mainly of round rattan strips sewn onto palm leaf. The top section of about 5 cm is covered in coils of string and includes a thin tassle at the point, which is 6.7 cm long. 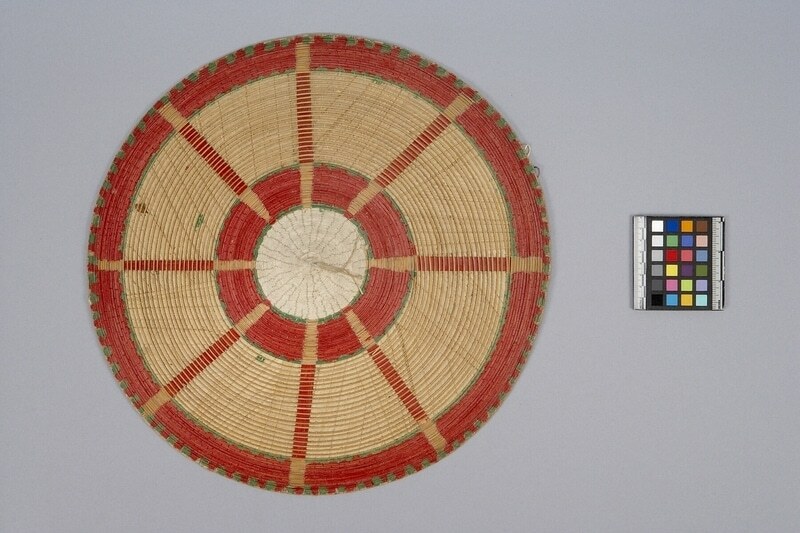 Below this is a 5 cm band of red rattan (sewn on) bordered by green triangles, then a 10.5 cm band of natural leaf and rattan, then a 5 cm band of red and green like above is repeated. 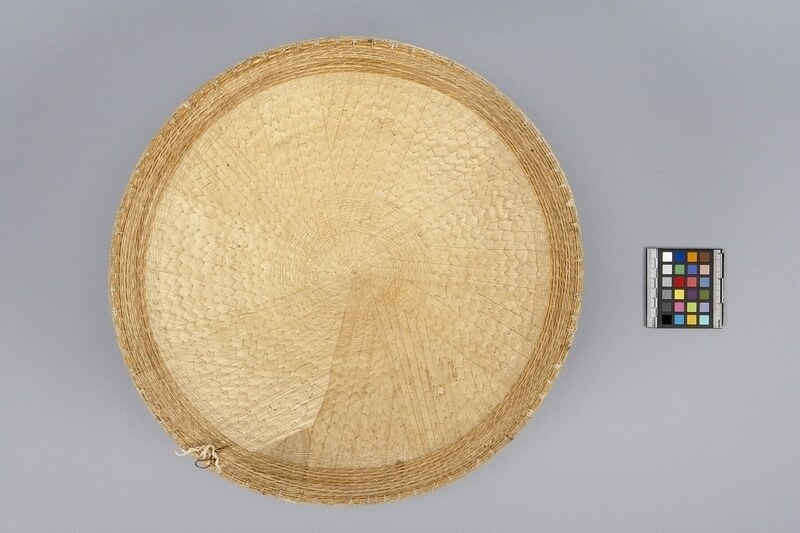 The rim itself is covered with a sewn on (over-cast) design of thin string. There are eight bands of design radiating from the top point down to the brim in alternating colours.